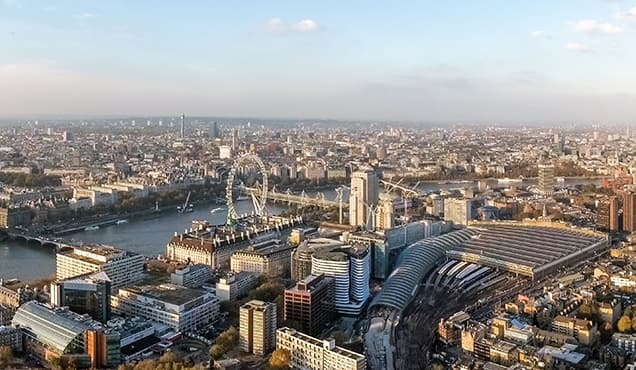 June's UK PMI surveys indicated a strong end to the second quarter, with business activity increasing at the fastest rate for eight months in response to an upturn in order book growth. 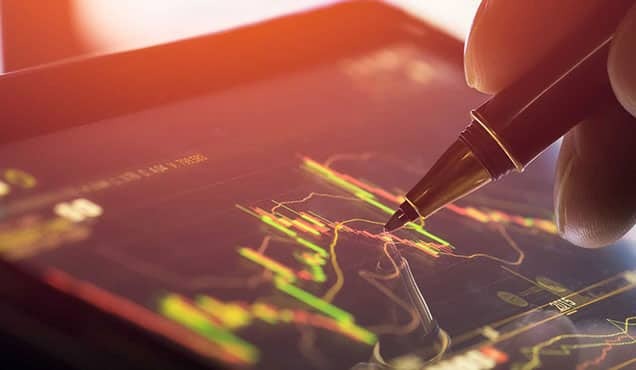 Price pressures also rose markedly during the month. 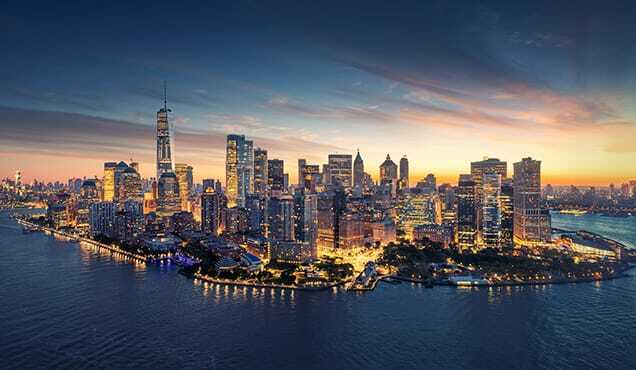 Of greatest concern, companies' views on expected future growth remained worryingly downbeat. 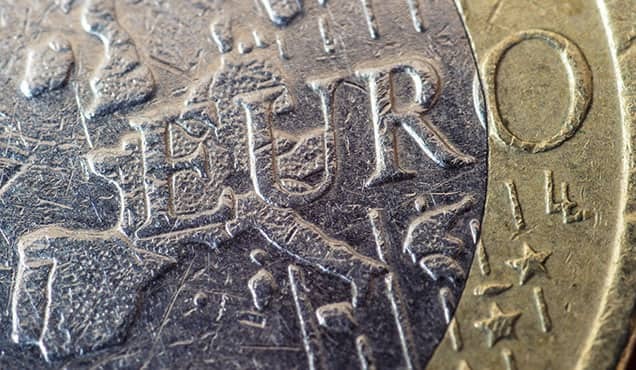 The survey responses indicate that political uncertainty, and Brexit in particular, continues to stoke nervousness about the outlook. 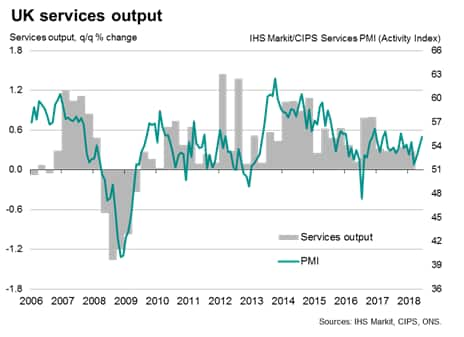 The IHS Markit/CIPS PMI surveys collectively indicated the fastest pace of economic growth for eight months in June. 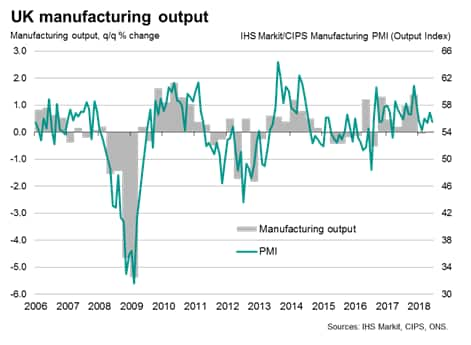 At 55.0 against 54.3 in May, the 'all-sector' PMI output index rose for a third successive month from March's weather-related low to reach its highest since last October. 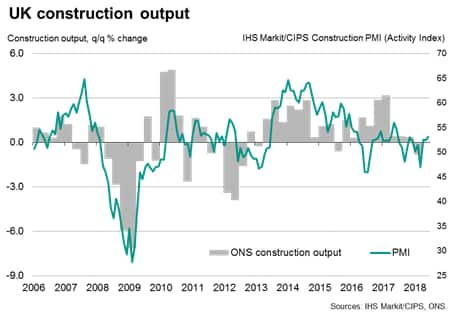 The June surveys also brought news of a marked upturn in firms' costs, which showed the steepest monthly rise since last September. 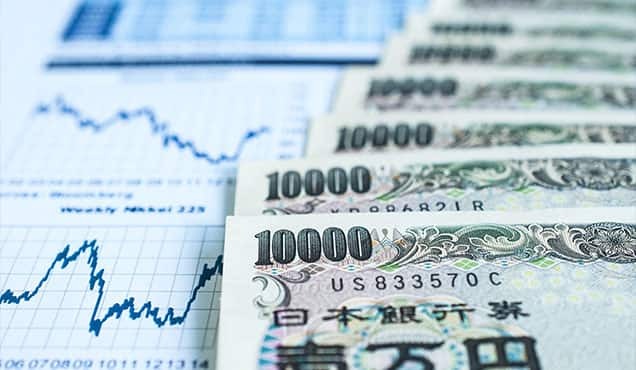 All three sectors reported increased input cost inflation, widely blamed on the combination of higher fuel costs, tightening commodity markets, rising import prices linked to the weaker pound and higher wages and salaries. 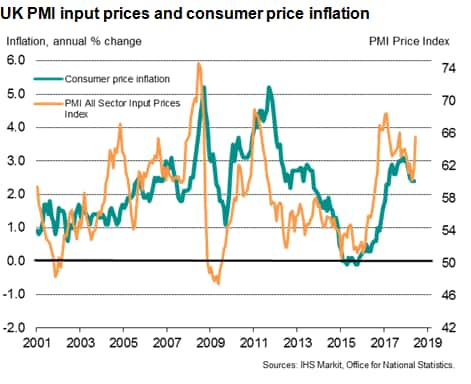 The steep rise in costs - among the largest seen in recent years - suggests consumer price inflation will accelerate again in coming months, having held steady at 2.4% in May. 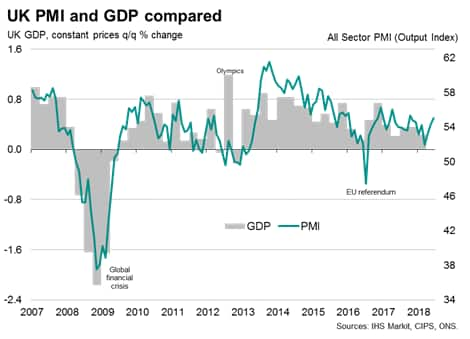 The strengthening of the pace of economic growth signalled by the June PMI surveys, combined with the upturn in price pressures, will likely add to market expectations that the Bank of England will hike interest rates at its next meeting, scheduled for 2nd August. 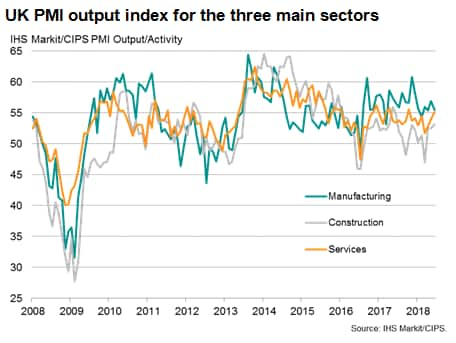 Three of the bank's nine Monetary Policy Committee members already voted to tighten policy at the June meeting, and the latest PMI data will add conviction to the argument that a bout of weakness in the economy earlier in the year has been temporary, mainly linked to adverse weather in March. 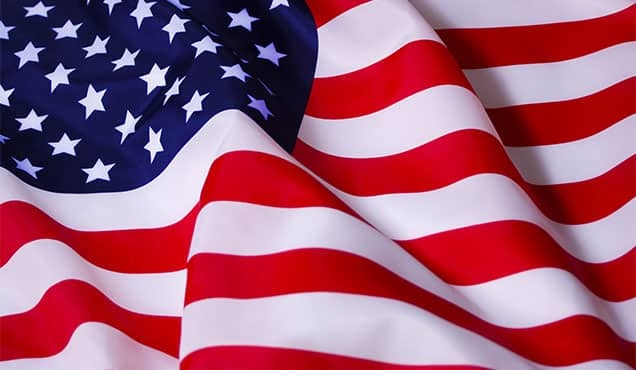 However, doves will argue that the outlook remains highly uncertain, and the rise in price pressures has been driven mainly by exogenous factors such as the oil prices and exchange rate. 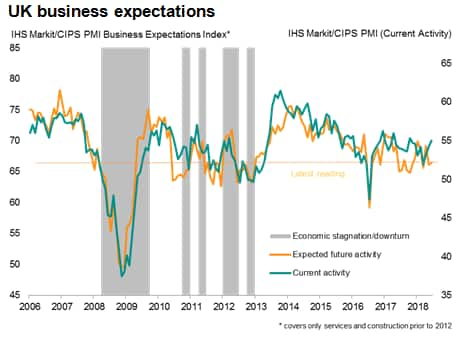 Furthermore, the pace of growth signalled by the PMI surveys remains considerably below that which would normally trigger a tightening of policy. 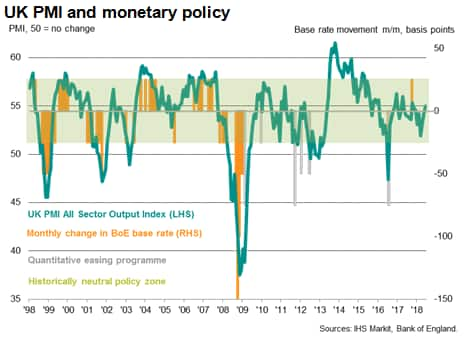 Prior to last November's rate hike, previous interest rates hikes (since 1999) have only occurred when the all-sector PMI has been above 56.5.